If you have what it takes to build pools, companies like Golden Coast are encouraging you to add wellness concepts to new and existing customers. While wellness is the smallest of the three main pool, spa and wellness sectors, the industry agrees; it is increasing at by far the fastest rate. Led by luxury-end property developers and households, the wide range of wellness possibilities, from sauna and steam to experience showers, means that where the top end lead; the main market will follow. Switched on pool and spa businesses should be preparing to meet that demand. “The sauna market is such a good fit with the pool business that it’s the ideal direction for businesses to expand,” says Shaun Adams of Golden Coast. Around 50 per cent of companies, responding to the latest research in the State Of The Wet Leisure Survey, conducted by Golden Coast, were involved in selling and installing saunas, compared to around 40 per cent in the previous year. The obvious addition to 2015 portfolio; wellness can still be daunting for some pool and spa businesses. With this in mind, specialist manufacturers, Anapos, provide the complete product and install solution. Combining chic Italian design and engineering with technologicallyadvanced construction materials, Carmenta offers the ideal solution for bespoke projects – both indoors and out. “We offer a complete design to installation service on behalf of other companies, using unmarked vans so we are seen as a satellite team to the main contractor,” says Matt Roberts, recently appointed as the company’s trade services director. Like other wellness suppliers, Anapos report a sharp spike in wellness project enquiries in the past nine months. 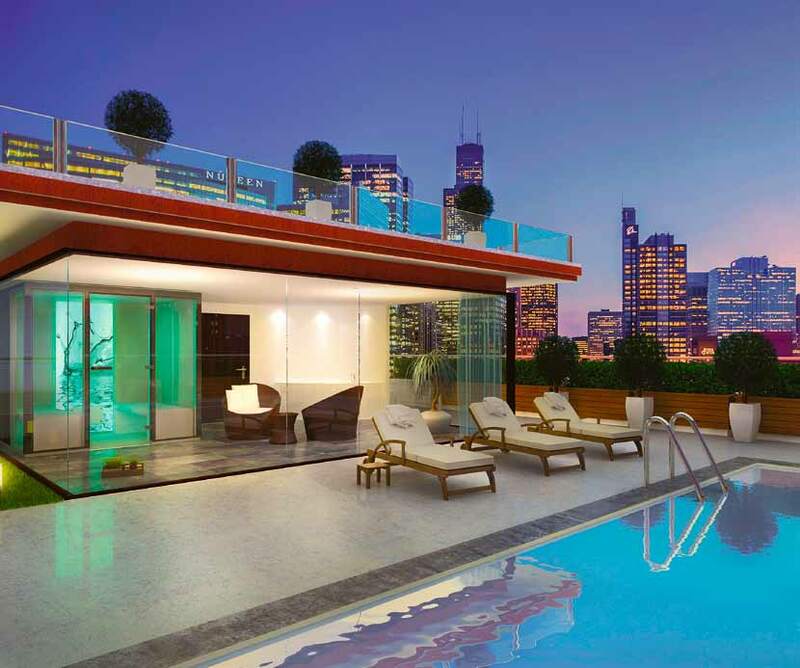 “We have experienced a significant growth in high-end residential projects where developers are looking to add wellness either in its own right or as part of a swimming pool package,” says Martyn Wood, Anapos’ national sales director. “The increase in interest in the home wellness market puts more pressure, in turn, on commercial venues to constantly raise the bar but they will always look at return compared with investment. 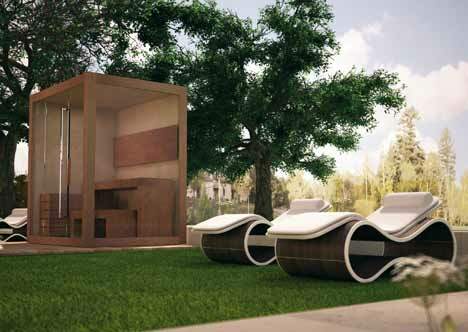 “With this in mind, we are seeing lots of interest not just in traditional sauna and steam but acute interest in the use of ice, experience showers, salt inhalation and salt saunas.